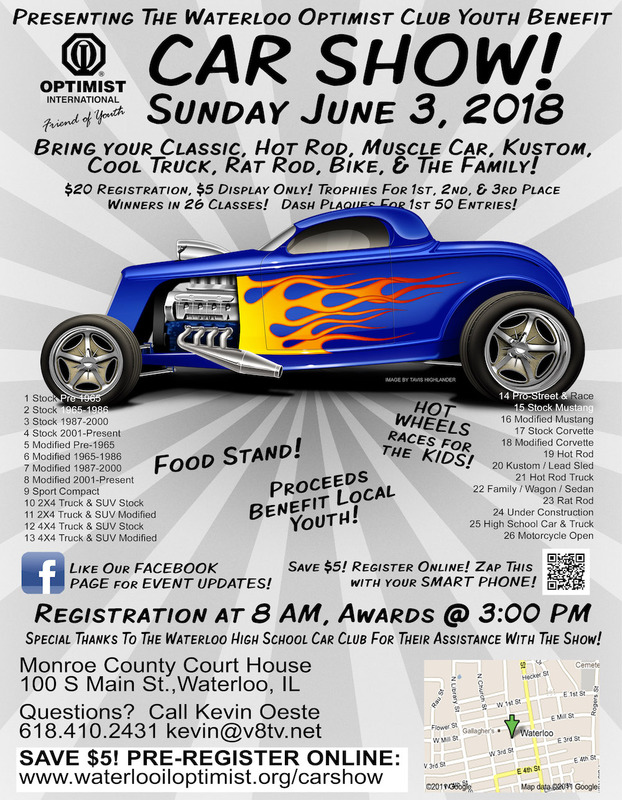 2018 Waterloo, Illinois Optimist Club Car Show! Registration from at 8:00 AM to Noon, with judging at 3:00 PM. 1st, 2nd, and 3rd place trophies will be awarded to winners in each class. FREE Hot Wheels Races for Kids! We'd like to thank our sponsors for helping us with the Optimst Club Car Show! Contact Us if you'd like to sponsor the show!